Unfortunately, discrimination can easily creep into any industry’s hiring practices. Through the use of subjective or incorrect employment data sources, or inconsistent/nonexistent standards, bias becomes unavoidable. By sticking to these basic employment standards, you’ll be able to avoid upholding discriminatory practices within your hiring process and better protect your company from liabilities. When it comes to who you hire, every property (and their residents) deserves the best. But how do you pick out the best of the best among your job applicants? With these three tips you’ll quickly weed out less qualified applicants, and discover your ideal co-workers and team members. We’re proud to announce that we’ve released a new employment screening solution designed specifically for the multifamily housing industry! 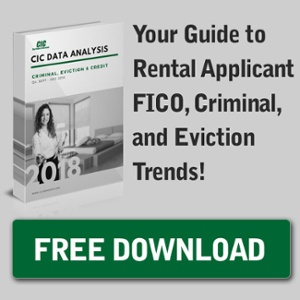 As the first and only screening company with employment screening packages tailored for rental housing positions, CIC is thrilled to give properties across the nation a distinct hiring advantage.